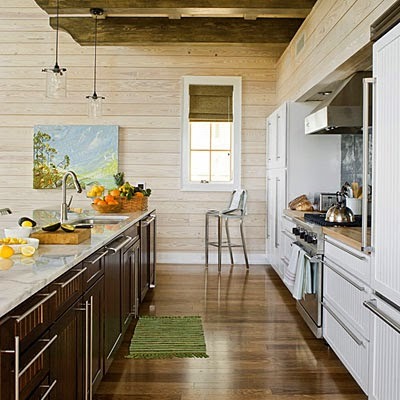 A lot of these images from the Southern Living 2009 Texas Idea House have been floating around blogland, but I had to share this space designed by Tracery Interiors here too! I can’t get enough of the orange and aqua! What a fun, cheery combo it is. 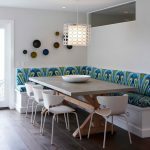 In general though I just love all the patterns and colors used in this beach retreat. So many more rooms to check out, so pop over here next! What a great idea with the bunks. I'm with you! That orange is so awesome!! The house has a very "dwell studio" feel to it. Mmm…I wanna snuggle up in those beanbag chairs! I don't usually like the colour orange but it looks beautiful here! I'm not an orange girl either, but with turquoise…I could do it! Love the fun turquoise bean bags!! I'm in love with all of the interiors in this home. I love orange and turquoise together, I'm going to miss my newly redecorated bedroom when we move. I am equally enjoying the aqua and orange. In those first few pics it is used to perfection. I love all of the textiles. I just saw this on the SL website. Loving it! This is one of my favorite beach houses. I just love it! I went to this house a couple of weeks ago and the photos just simply cannot do it justice. The master bed for instance … sits across from a wall of bay doors, the all lead into the master bath. Immediately on the opposite of them sits a huge bathtub. 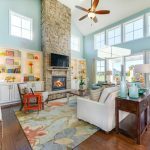 It's a gorgeous light-filled escape!